Transmission fluid is petroleum based just like engine oil. Over time, both will deteriorate and their chemical properties will change – reducing the cooling and lubricating benefits. You wouldn’t drive 50,000 or even 100,000 miles without changing your engine oil and filter. So, why would you do the same with your transmission? We recommend that you have a Transmission Tune-Up Service completed once a year or every 15,000 miles which includes replacing the drainable fluid, cleaning or replacing the filter when accessible, adjusting the linkage, and inspecting the drivetrain for leaks or other issues before they become major problems. Doing so will help your transmission continue to run great and help you avoid costly repairs! Some people drive on the left side of the road, some on the right side of the road and some just don’t know how to drive all together. Fortunately, Harrell & Beverly can work on most of them. Harrell & Beverly can take care of factory service intervals on your new vehicle. You don’t have to take it back to the dealer just because it’s new. Federal law gives you the right to choose where you take your vehicle for service and repair work. You will want to keep your receipts in an organized manner to prove the service work was completed if you ever need any warranty work at the dealer. At Harrell & Beverly you will get a detailed invoice that lists the date of service, mileage, vehicle info, parts used, as well as an easy to understand summary of what services were performed. But don’t panic. If you can’t keep everything organized, we have your complete service and repair history in our state-of-the-art computer system. So we can reprint any records you might need in the event of a warranty claim with the dealer. Not sure what factory service needs to be done and when? Stop by or call us today and we will gladly take the time to explain and answer all your questions. 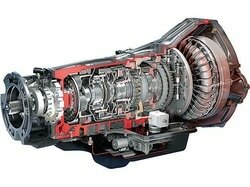 Transmission and drivetrain work is our specialty. Put our years of experience and constant training to work for you today. Most shops view transmissions as a black box, not knowing how they work or how to fix them. We not only know how they work and how to fix them but we want you to know as well, that is why we take the time to fully explain everything we do, from a simple service to a complete rebuild. Ever since the early 1980s vehicles have had onboard computers. In the early days these computers only controlled a few items, but today’s computers are very sophisticated and control and/or monitor most every aspect of vehicle operation. Just like personal computers and other electronic devices (DVD players, MP3 players, etc…) modern vehicle computer technology is constantly changing. With the rise of computer technology, today’s vehicle systems (brakes, engine, transmission, emissions, etc…) are no longer independent from each other. They are all connected to some degree. So it makes sense to have a shop that specializes in transmissions and advanced electronics take care of your general automotive service and repair needs. We provide diesel engine service and repair for Ford, GM-Chevy and Dodge trucks. It is imperative that you keep your diesel engine serviced to avoid costly repairs and maximize its longevity. 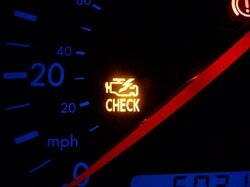 If your diesel engine has more than 50,000 miles on it then the following service intervals are recommended. If you routinely tow or haul heavy loads and/or drive in dusty conditions these service intervals are critical. Not sure which Duramax Diesel you have? If your 8th digit in the VIN number is a 1, you have a LB7, if its a 2 or 3, you have a LLY, if it is a D, you have a LBZ. LMM motors are only found in the new GMT900 body style trucks. Attention 2004 Model Year Owners to ensure that you have a 2004.5 Dodge Cummins “600″ 5.9L Diesel you must check the engine tag (A Red or Silver Tag) located on the drivers side of your engine. The tag should show a torque rating of 600. If it does not you most likely have a 2004 Dodge Cummins 5.9L Diesel. If you are buying a used vehicle you will want to know if it is worth the price you are paying. A reputable seller should allow you to have the vehicle evaluated by your own mechanic. Harrell and Beverly can provide this peace of mind evaluation for you before you buy your next used vehicle. We can do a simple free road test or we can do a thorough evaluation and give you a written report that can be used as a negotiation tool. We can take care of all your classic car and hot rod service and repair needs. We have worked on many different kinds of specialty cars throughout the years. In fact, today’s “classic cars” were everyday drivers when Harrell & Beverly opened up, so we have the knowledge and experience needed to work on your special ride.